Paris (AFP) - World equity markets came under pressure Friday as analysts ran out of ways to justify Donald Trump-inspired stock valuations, but some said the party may not be completely over. The dollar stuttered, while Wall Street, Asian and European markets fell after Treasury Secretary Steven Mnuchin lowered US growth expectations, providing the trigger for a correction many said had been overdue. "The signs were there for a stock market plunge, which is exactly what has happened today," said Fawad Razaqzada, an analyst at Forex.com. "Is this the start of the crash that many people had been waiting for? Well, that remains to be seen," he said. 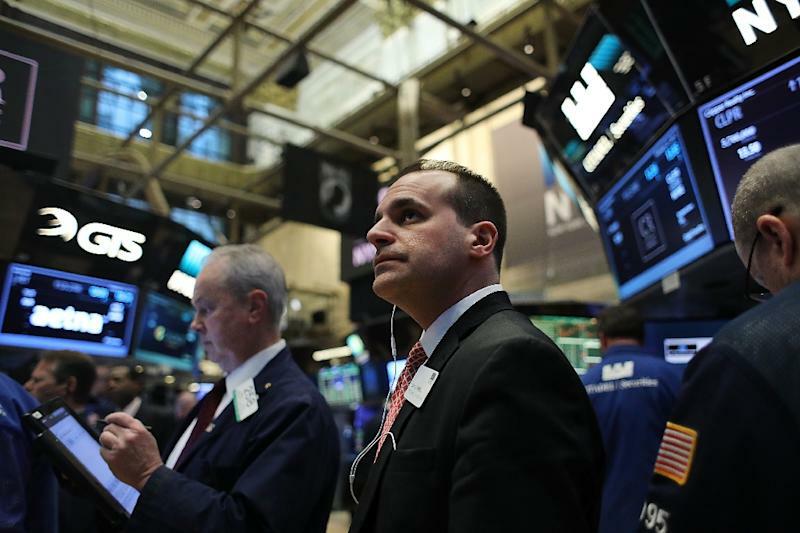 Friday's downturn came after 10 gravity-defying straight record-breaking sessions on the New York exchange which had global investors looking on in "awe and disbelief", said Mati Greenspan, Senior Market Analyst at eToro. This took Wall Street's gains since Trump's election to around nine percent. "Many analysts feel that this has been overdone but most agree that it could very well continue for a while," said Greenspan. In the meantime, Wall Street's recent surge "was probably a cue in itself for global markets to give a little back," said Jasper Lawler, an analyst at London Capital Group. After all, he said, such a winning streak had not been seen since 1987, "the year that saw Black Monday, the biggest one-day market crash in history". But while all the world's major stock markets suffered in Friday's correction, they were in no mood for a crash. Europe even came off early lows late in the session, relieved that Wall Street's morning fall turned out to be so modest. Mnuchin forecast three percent growth by the end of next year, warning that the effect of certain measures would take time. That compared with the four percent Trump promised on the campaign trail. 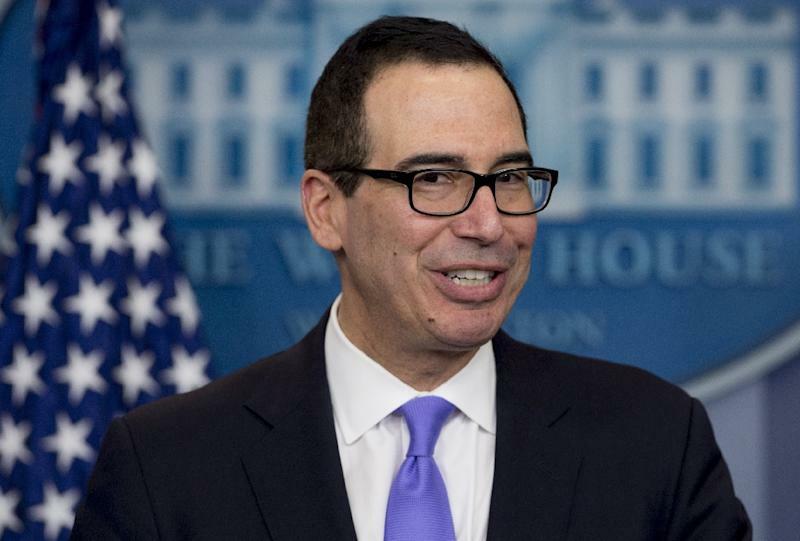 In an interview with CNBC, Mnuchin also appeared to wind back on his boss's earlier threats to call China a currency manipulator, easing concerns about a possible trade stand-off between the world's top two economic powers. Stephen Innes, senior trader at OANDA, said the comments "have left investors dangling about the US administration's currency policy as there appears to be a subtle shift in the Trump administration's rhetoric". The comments overshadowed his promise to push through tax cuts by August, and pursue deregulation on companies and banks. Gold, an attractive investment in risky times, rose 0.5 percent on Friday as investors fled the stock markets for safety. The dollar lost some of its recent shine against the euro and the yen, another sign that cracks may be appearing in investors' belief that US economic strength will make them richer day after day. In corporate Europe, some heavyweights saw heavy losses in response to annual results. Vivendi in Paris dropped nearly four percent after posting a 35-percent decline in net profit. Royal Bank of Scotland shares dropped 4.5 percent in London after the bank's net loss widened to £7 billion in 2016. Frankfurt heavyweight BASF shed close to three percent after the chemicals giant reported a "challenging" 2016, leaving it just "cautiously optimistic" for the current year.